Friday saw the start of our Summer Bouldering League; four rounds of 20 problems culminating in a final round on the last Friday of July. The competition is open to all and just by completing and handing in a score sheet you are entered for a prize draw. To stand the best chance of making it to the top, completing each round is vital, but we encourage everyone to take part as it is a great way to advance your climbing and test your skills. You won’t know until you try. We are very excited to announce that Emma Twyford will be setting the final and then running some coaching masterclasses on the following weekend. Her coaching classes with the BMC have gained national renown so this should be a great opportunity to develop your footwork, efficiency and mental strategies. Keep an eye out for more news on this. 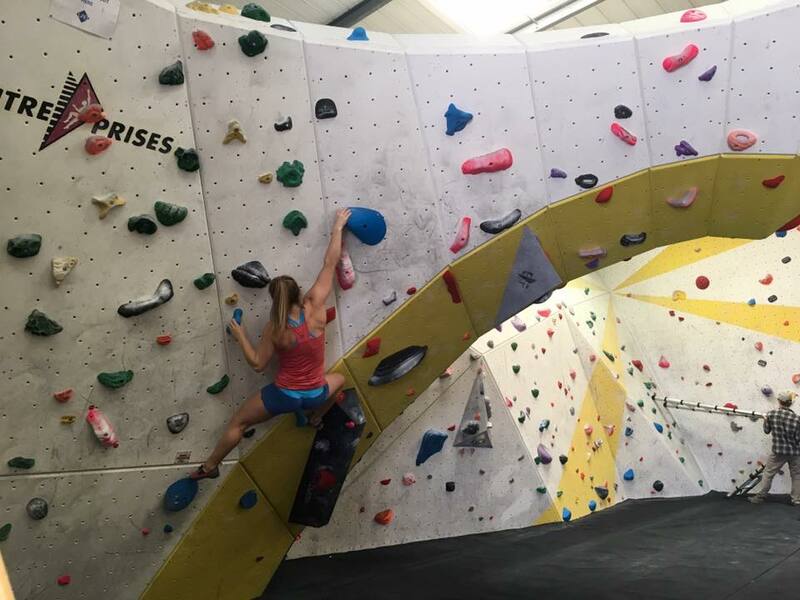 Finally the great new Blue (V4-6) set by Gracie Martin is still fresh, so if you haven’t been in to try them get yourself on down. See her link below to read about her adventures at the recent Studio Bloc Masters in Germany where she competed at the end of March. We would also like to wish the very best to all the climbers who have headed off for the first round of the IFSC Climbing World Cup in Meiringen, Switzerland this weekend. We will be keeping an eye out in particular for Leah Crane who we sponsored last year and who has set for us in the past. Good luck!